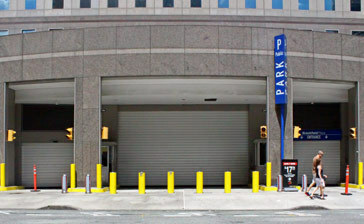 The World Financial Center is located across the World Trade Center in the Financial District. The site is currently under development, and will be the future home of a retail and public space that offers premium designer shopping and world-class dining by world-renowned chefs. 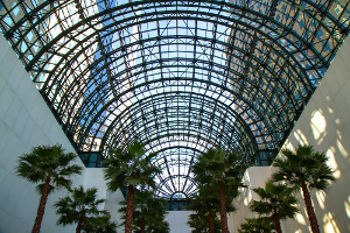 Currently, the World Financial Center offers free entertainment and cultural events in the Winter Garden, a magnificent 120-foot atrium with a grand marble staircase and an outdoor Plaza with breathtaking views of the Hudson River, an outdoor ice skating rink, and is home to a food truck court with rotating vendors. Nearby attractions include the 9/11 Memorial, City Hall, and Battery Park, as well as a variety of fine restaurants and hotels. 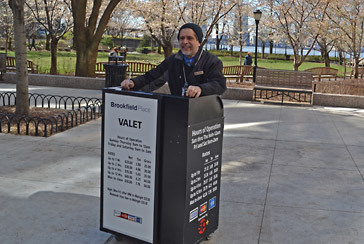 Convenient parking for the World Financial Center is available at the following parking locations. 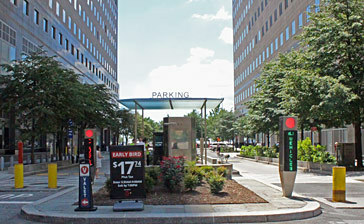 Click the location address to see more information about that parking location.